Oliver Luck was on The DA Show on CBS Sports Radio Tuesday Morning. 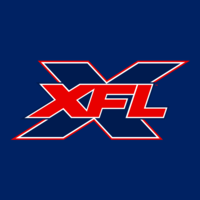 Damon Amendolara was a huge AAF supporter and XFL naysayer, even going as far as floating a lot of silly conspiracy theories in relation to The XFL's involvement in the AAF's collapse. Luck was asked about The Dundon-McMahon conspiracy. Luck laughed that one off and shot it down. So this was an interesting interview from that stand point. DA is such a huge supporter of the Alliance, and his show is still simulating the end of the AAF season. DA even joked in this interview about feeling like he was cheating on the AAF by having Oliver Luck on. Luck immediately went into legal terms about the AAF's "non compete" structure with their players and how it wouldn't have held up in the courts. Luck said "They had contracts that were a restriction on playing in any other spring league". Luck went on to say "That's a legal clause that would not have been held up by any state court". Luck says it would have been a violation of the freedom of contract law. He says that the XFL never got to that point because the AAF folded. Basically hinting that the XFL was going to target AAF players regardless of the 3 year non compete clause.. Sounds like it was their plan. If anyone has read the recent Sports Illustrated articles on the AAF's player contracts and the current legal issues. The AAF based on laws, appears as if they are going to lose out on trying to trap players from going elsewhere.... Luck went on to point out not only the players of the AAF but the coaches as well. Oliver Luck mentioned during the interview of recently receiving phone calls from Mike Singletary, Mike Riley and other assistant coaches in the AAF. Read into what you will. A lot of the business aspects were talked about in the XFL and the AAF. Luck mentioned how the AAF had only 1 league sponsor. When DA asked him if the XFL would fold quickly. Luck said that anything is possible but that it is unlikely that the XFL doesn't have multiple seasons.... Luck basically reiterated what he has in the past about the XFL's powerful broadcast partners. These broadcast partners were on hand for The Spring League. Same lines here by Luck. Two major broadcast partners... Two games a week on broadcast TV and two games a week on cable tv. Saturday/Sunday games. There may be Thursday games late in the season. DA talked about the struggling AAF attendance in the majority of their markets. Luck says that the league is going to have a ton of emphasis on marketing, promotion and enhancing the live in-game experience. As far as coach hires. Obviously St. Louis confirmed for Thursday. At the end of the interview, Luck says "then LA and Houston to follow". Luck says that more than likely at the end of the month. You can catch that at about the 16:20 mark of the interview. Last edited by MikeMitchell on Tue Apr 16, 2019 1:33 pm, edited 1 time in total. We know Houston is Luck's baby. Maybe saving the best for last? Great recap Mike! Thank you. Thanks. It appears that way. If the final 3 are Martz, Riley and Singletary. I don’t think anyone would complain. As long as none of them are Jeff Fisher. I don't think Martz goes to St. Louis. It could be Haslett. Thanks for the link and recap, Mike. Another thing that was mentioned, Luck said he wants to have a fast paced game with "75 to 80 plays per team". Based on the SFL, that may be a reach but I am hoping they get there. He doesn't want gimmicks but I feel the OT is overly complicated and gimmicky. I'm also a bit concerned that people who don't want any gimmicks will turn the channel when they see the kickoff alignment. Great that AAF coaches are reaching out the him. Looking forward to future announcements. If Martz lives in SD, I could see him taking the LA job instead of StL. More fuel to the future rivalry. I would complain, but I think Luck name dropping Riley and Singletary makes them less likely to be hired, to he honest. There’s always something to complain about for sure. I That’s for sure. I really wouldn’t rule out any of The AAF coaches having roles in the XFL. It doesn’t necessarily mean as head coaches. I think. 2 keys. The league will probably not release their game rules until June. The second thing is the coaches seem to have a lot input in these rules. All 8 will chime in and the league will adjust from there. Along with the plan for 75 to 80 plays per team, Luck clarified that the running clock will be until the final 2 minutes of each half, as suspected, rather than, each quarter, as we heard on the XFL Show.